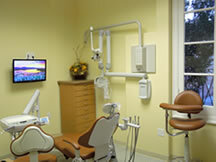 South Pasadena dental office like no other! If you are looking for a smile makeover to transform and build more confidence in your smile, Prestige Dental in Pasadena is the office for you! Serving South Pasadena, Pasadena, San Marino, and adjacent communities, we specialize in smile design and will customize an attractive and functional smile for you! Look no further than Prestige Dental! 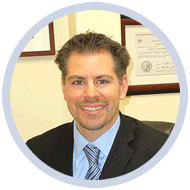 A 2007 graduate of the prestigious UCLA School of Dentistry, Dr. Bouzoghlanian and staff have the experience, knowledge, and skills to provide you with the winning smile you deserve! We customize treatment and have a variety of payment plans for every budget. At Prestige Dental, we have extensive experience in a variety of techniques including teeth whitening, tooth bonding (white fillings), porcelain (metal free) veneers and crowns, and dental implants. Come visit out dental office in Pasadena for a complimentary consultation and let us show you how we can make you proud of your smile again! Our top modern dental office incorporates the latest in dental technology and is located on majestic Green St. in the heart of Pasadena. We are within close proximity to South Pasadena, San Marino, San Gabriel, and Altadena. Call Today!